Vegetables rejected by European shops for the way they look are being used as dinner ingredients in Kenya, in a bid to cut down on one of the most extravagant wastes of our time – unwanted food. About a third of all the food produced in the world for human consumption is lost or wasted. That’s about 1.3 billion tonnes each year – of which roughly half is lost in industrialised countries. 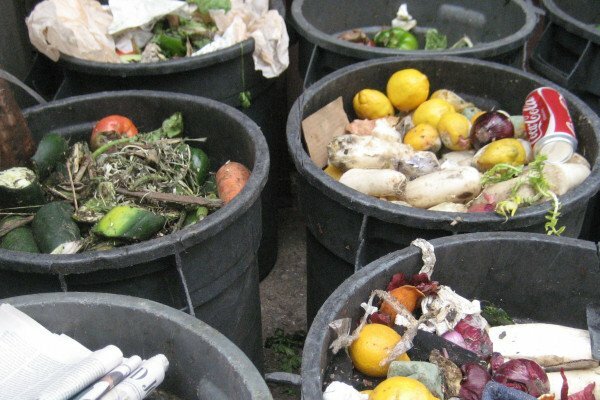 Scientists are looking at different ways to cut the waste and make more sustainable use of resources, such as using social media and mobile technology to match up people who have food that may be about to go to waste, with those who can use it. They are also looking more deeply at the causes of the problem – beyond just blaming the consumer. It’s an issue being highlighted by the rise of an international grassroots organisation, Disco Soup, which hosts community meals in a party atmosphere using unwanted food. It held its first Kenyan event in December 2014, bringing the idea to a country where nearly 50 % of export-targeted produce is rejected by European supermarket groups, usually because of the way it looks rather than any substantial problem. Disco Soup uses the spurned vegetables, which are donated by exporters, to make meals for people who are not bothered about whether green beans are perfectly straight or carrots are a certain size. And the scheme aims to use information technology to hook up community groups, food producers and exporters, non-governmental organisations and international institutions, to recover rejected produce and reduce wastage. Initiatives like these are being examined by researchers on the SHARECITY project, who are assessing the practice and sustainability potential of city-based food-sharing economies that bring together people and food that would otherwise not find a match. The five-year research, funded by the EU’s European Research Council, is examining whether websites, social media, and mobile apps can help in using food and food-related resources more efficiently, while also supporting social, economic and environmental sustainability. ‘Unsustainable cities are growing and are predicted to grow further,’ said principal investigator Anna Davies, professor of geography, environment and society at Trinity College Dublin, Ireland. ‘At the same time we have patterns of unsustainable food consumption, the kind of abhorrent geographies of hunger and excess, where we have one in nine people being chronically undernourished, but we also have half a billion people obese,’ she added. The researchers have compiled an open database of different food-sharing schemes in 100 cities in industrialised and developing countries around the world – the first of its kind. It offers knowledge and information to people wanting to start their own food-sharing activities, as well as ideas that can help existing schemes to learn from others’ successes. 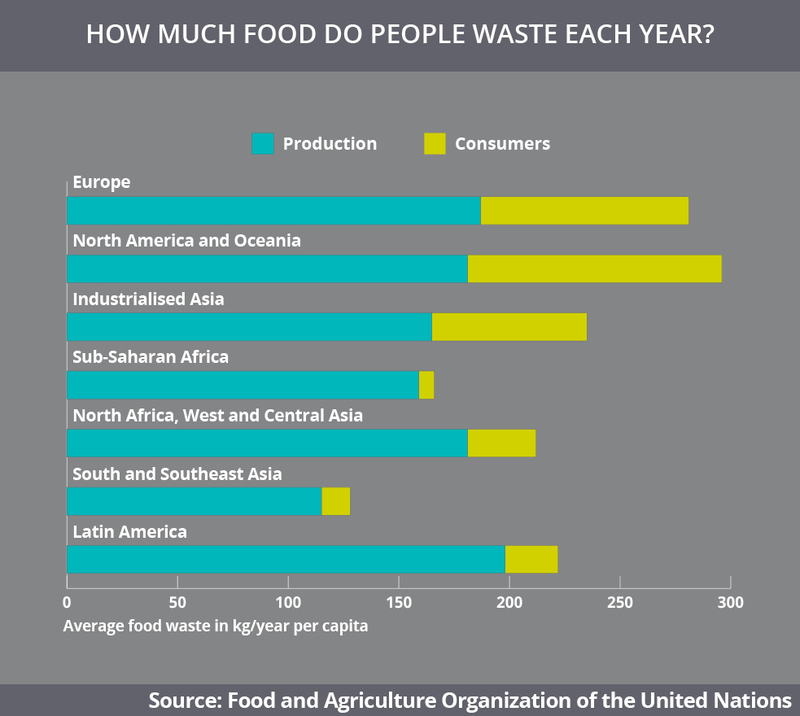 Each year, consumers in rich countries waste as much food as the net food production of sub-Saharan Africa. ‘Already we’re seeing that the research is having an impact internationally and we hope that will stimulate other people to identify, or even set up similar kinds of activities in their own cities, beyond those listed in the database,’ Prof. Davies said. The SHARECITY researchers are now moving into the field, undertaking in-depth studies of food-sharing schemes in at least seven cities in the USA, Singapore, Switzerland, UK, Germany, Greece, Spain, Ireland and Australia to better understand how IT can be used to share food, spaces and skills. The aim is to come up with guidelines for developing more sustainable urban food systems. Most of the losses and wastage in developed countries is at the retail or household end of the food chain and consumers are often blamed for poor purchasing decisions or managing household resources badly, according to Dr Sebastian Abrahamsson from the University of Copenhagen’s SAXO Institute. His FOODWASTE project, also funded by the EU, looks at household consumption practices and the links between the consumer, retailer and producer in the human food chain. In Europe and North America, consumers are responsible for almost a third of food waste, whereas in Africa and Latin America most food loss happens before it even gets to the end-consumer. By analysing consumption and food waste in this context, he aims to identify the role of retail strategies such as ‘three-for-the-price-of-two’ offers, expiry dates and packaging and other factors in how food is used or wasted. ‘Much of the current research into food waste, as well as policies and campaigns, are not based on in-depth knowledge of how consumers actually go about buying and using or wasting food,’ Dr Abrahamsson said. So he goes shopping with consumers in Denmark and Sweden. By shadowing them as they go about their purchases – as well as following up on what happens at home – he is building a more complete picture of the patterns that lead to food being binned. This is also helping Dr Abrahamsson to analyse how consumers avoid waste. And as with SHARECITY, his research has identified food-sharing as a rapidly growing activity to deal with a food ‘mismatch’. Planning meals and sticking to shopping lists and knowing supermarket layouts to avoid falling into retail ‘traps’ are useful tools, he believes. But consumers won’t eliminate food waste on their own. ‘What I would like to see is to influence policy and anti-food-waste campaigns to expand their view from just consumers to a more holistic or inclusive way to see the problem,’ Dr Abrahamsson said. ‘Then we could see producers, consumers and retailers come together to discuss the issues and find solutions that are sustainable,’ he added. Previous Could DNA be the information storage solution we desperately need?